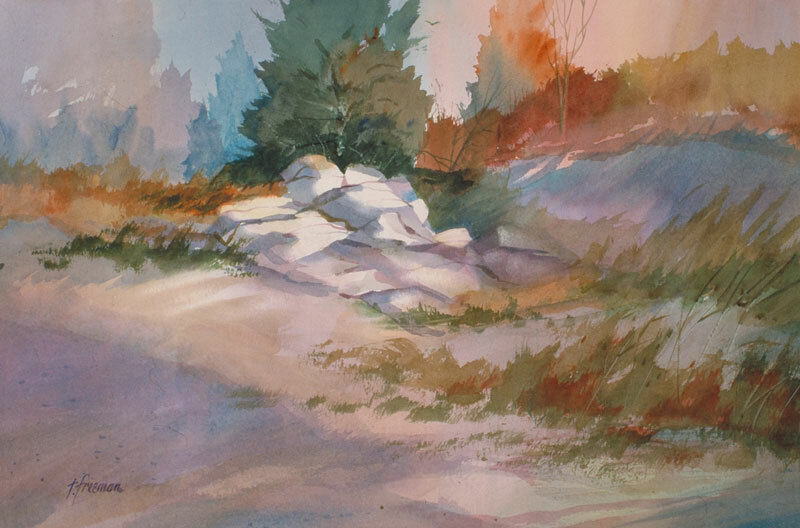 Thomas Freeman Original Watercolor Painting: "Hiking Place"
This is kind of an exercise in color and value. I wanted the focus to be the sunlight on the pile of white rocks. Here again I kept the background wet and loose and let the colors flow. Then I built up a shadow from the left to make the rocks stand out.